BABY STARS! Cute hardy annual that is actually a west coast native. Also known as Stardust this little plant produces adorable stars in pink, orange, yellow, and white. 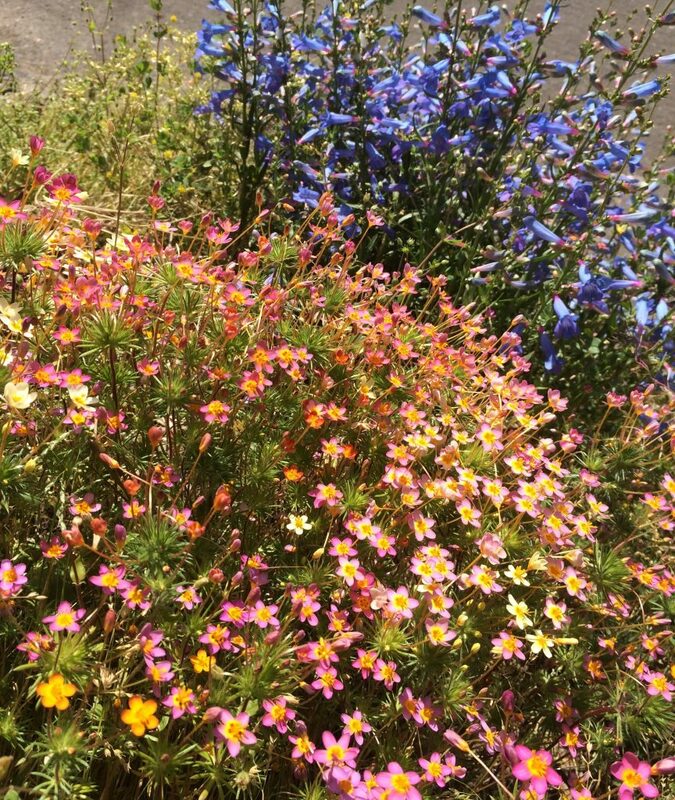 All together a tapestry of color on just 3″ tall plants. Reseeds prolifically in open disturbed sites. Just one potted plant will yield hundreds of seedlings for the following year. Blooms May- July then dies, goes to seed, is no longer there. Great bulb cover. Little to no summer water for self sown seedlings. 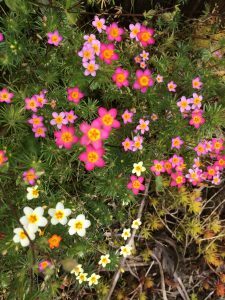 Primarily composed of Leptosiphon bicolor which is native to the Portland city limits. 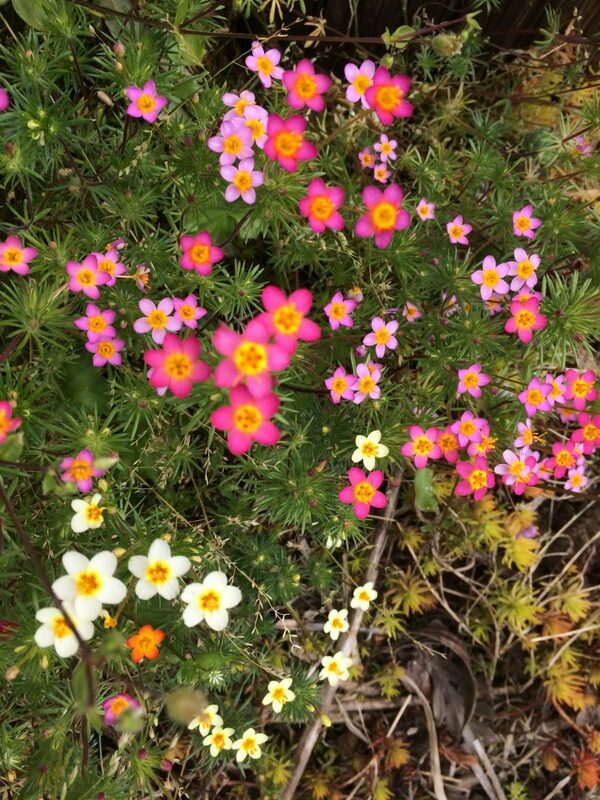 In the wild the flowers are primarily pink with a yellow eye- occasionally other colors. Adorable. Baby stars. Oregon native plant.